Drones are awesome! And anyone can learn how to fly one. 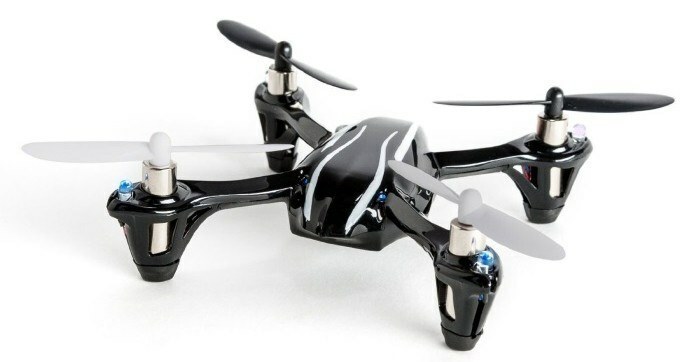 You just have to start out with a good starter drone, configured for beginner drone pilots. I have collected some good tips on selecting your first drone, and things you should consider when buying and flying a starter drone. Drone price – If your starter drone is expensive, you may get better manoeuvrability and stability, but drones are prone to breaking when crashing, and cheap spare parts are a big plus for beginner drones. Batteries – Drones can only fly around 10 minutes on a charge, so consider getting a good drone starter package with extra batteries. Also, recharging can take anything from 30 minutes to several hours, depending on the drone model. Propeller shields – A huge advantage when selecting a starter drone, is to find a model with protection around the propellers. These can often be removed once you get better at flying, and are especially useful if you fly your drone indoors. Brand – Be careful if you buy your first drone in a toy store. Toy drones are often less advanced and of poorer quality than beginner drones from hobby stores. Spare parts – A good starter drone kit contains spare parts for the parts on the drone that are most likely to break when crashing. An extra set of propellers can come in handy after just a few times flying. The Hubsan X4 107 series drones are perfect for beginners who want to learn how to fly a quad-copter. The Hubsan X4 comes in many versions and sizes, identified by the model number. For beginners, an excellent choice is the Hubsan X4 107. The quad copter is small enough to not break anything when it crashes, and is also very sturdy itself. You will find the Hubsan X4 in many colours and versions, including a version with a build in camera. Fortunately, these are easily identified by their Hubsan X4 model number. This is the first model released, and very popular. Over time, this has been replaced with the later models, which are now becoming the standard drones from Hubsan. USB charger for LiPo battery. All Hubsan X4 H107-series drones are made for indoor flying, but can be used outside as well, as long as the wind is not too strong. Some versions come with a protective guard for the propellers, so they are protected when you crash. You could also just get spare propellers and replace them if needed. The Hubsan X4 is very sturdy, and not likely to break. The propeller arms are actually prepared to snap put of place, instead of breaking, allowing you to just snap them back in place and continue flying. After the great success of the first model, Hubsan created an updated version with built in LEDs on top of the quad-copter. These models has completely replaced the original version, and are the ones you are most likely to find in stores and online. All in all a great little drone, with even more cool features than the first version! You should be able to get a Hubsan X4 H107L for around $35-$40, depending on if you choose a version including the propeller guard and extra spare parts. In addition to learning how to fly, the Hubsan Drones are also very popular for obtaining overview camera footage from the air. 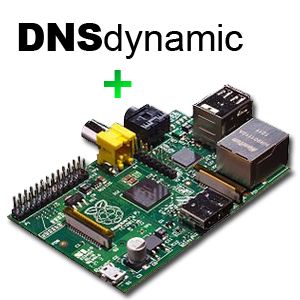 This could be used to view images of your house from above, or maybe to inspect some hard-to-reach roof spot. The Hubsan X4 H107C model comes with a built-in 720p camera, and costs almost the same as the basic models. This will make the drone a little less agile than the model without a camera, and maybe lower flight time a bit as well, as the drone is a bit heavier. As a beginner drone pilot you will most likely not feel any difference, and the added feature is quite nice. The Drone records video continuously, to a microSD card (not included! remember to get one!). After the flight, you can put the SD card into a computer and view the video. Don’t expect phenomenal video quality, but decent enough to use for many purposes. Expect to pay around $40-$50 for a Hubsan X4 H107C, depending on if you get a version with extra spare parts and extra batteries. Also, remember to get a MicroSD card as well! around 4-8GB should be enough. Hubsan X4 H107D – Live camera feed! 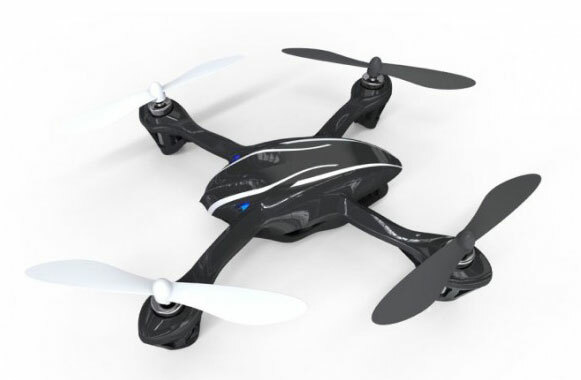 The latest flagship model of these drones, is the Hubsan X4 H107D, which has a controller with a built in screen to show you the live video feed from the drone camera! This addition has most likely been created as a response to the upcoming and very popular drone racing events, where pilots steer the drone based on the live image feed transmitted back from the drone. This type of flight is called FPV (first-person-view) drone flying, and is becoming extremely popular. Even if you don’t plan to do FPV drone races, a Hubsan X4 H107D could still be an awesome choice for you first drone. This the only one of the 107-series which will allow you to navigate without having the drone in your field-of-view. 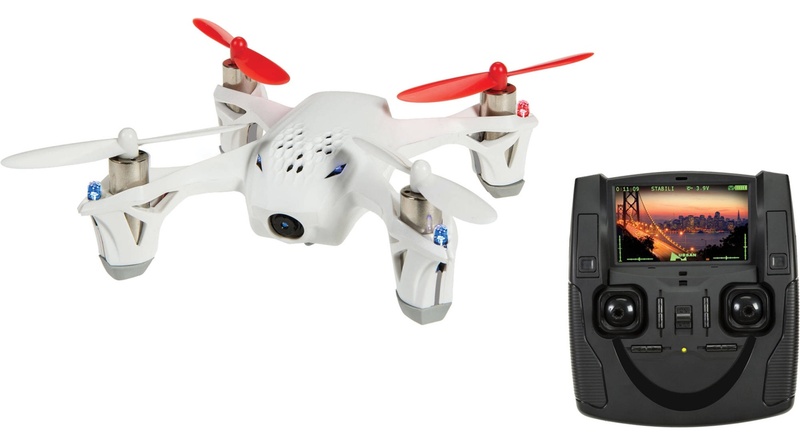 This comes at a price, but at $80-$100 for a Hubsan X4 H107D, you are still at an extremely reasonable price range for an entry level quad copter drone for beginners as well as intermediate drone pilots. 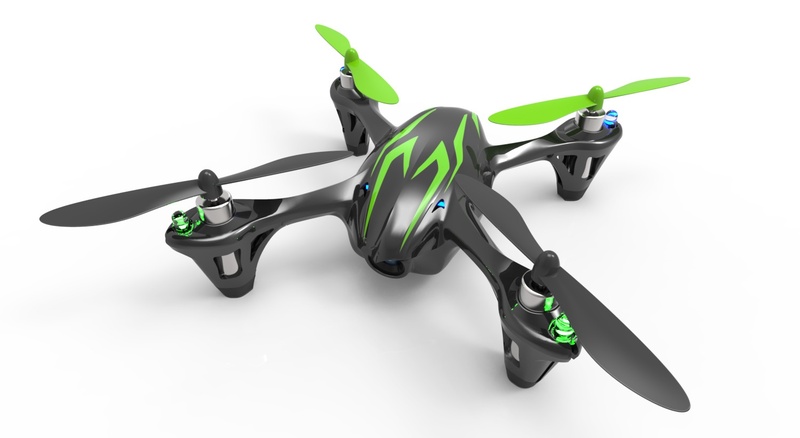 Did you get a Hubsan X4 H107-series as your first drone? Leave a note in the comments on which model you chose, and how you like it! By Mikkel at January 23, 2017 .